Sweetly Styled – A complete gondola shop fit out that would please any sweet tooth! This showroom was completed using Vivo gondola system with a range of slat wall accessories. Creating a clean and modern display that’s versatile to develop as the range expands. 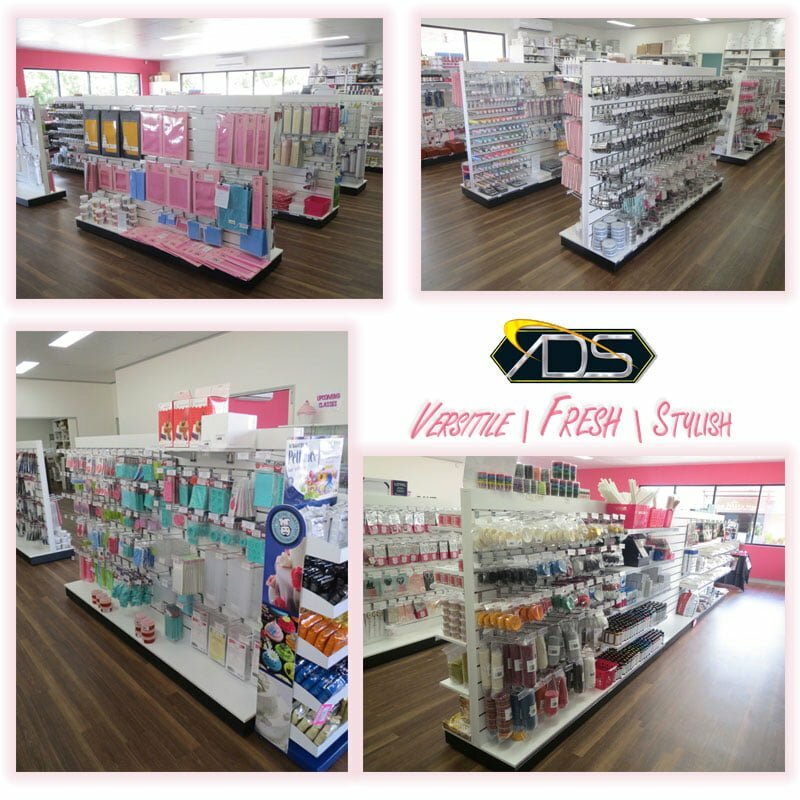 The ADS team created a display solution using our Vivo Gondola system & Slat wall accessories. Facilitating the versatility of system that allows them display their large product range. We offer a range of Custom gondolas made with superior quality. If you’re interested in this service just contact the team to organise a design consultation.